Engineering seats in TN colleges nose dive ? The spate of engineering colleges that have come up all over the state; and people not getting employment even after spending a lot of money for completing their engineering studies – can be cited as the main reasons for many engineering seats lying vacant, say the educationists. Like the last few years, this year too, as many as 97,860 seats remain unfilled in the Tamilnadu engineering colleges, under the government quota. Of this 95,700 are vacant only in the self-financing colleges. Even in the subsidiary counselling only 7531 seats have been filled. After this, about 90,000 seats under the government quota remain vacant. It is not only in Tamilnadu that there are so many vacant seats in the engineering colleges in the recent times; the status remains the same in other states too, reveals the statistics from the All India Council for Technical Education (AICTE). In the year 2016-17, of the total of 15.5 lakh seats in the 3,291 engineering colleges in India, 50% seats are not filled. This was 14.76 lakhs in 2015-16. This only shows the declining interest of the students in joining engineering courses. 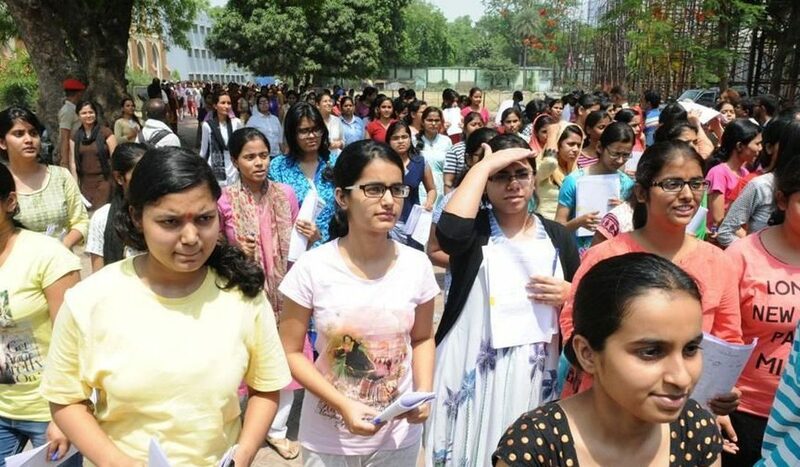 Tamilnadu has as many as 500 engineering colleges more than the actual requirement of the state; and too many students are getting admitted in deemed universities, as there exist no norms on the number of student-admissions – these are given as the principal reasons for engineering seats remaining vacant on such a scale. Many of the students, who have done their engineering in the recent times, are not getting placements through campus interviews. Also, after seeing the standard of many of the engineering colleges, professional organizations do not visit those colleges for campus recruitment, whereas quite a good number of students do not also possess the competency to get employment opportunities in such organizations. This is why many students who had to spend heavy amounts for their engineering studies are forced to settle for jobs with low pay, or take up employments not related to their qualification. Reasons like these have resulted in students hesitating to join in many newly started engineering colleges or even in old colleges which are not that well-known. This is why more number of seats are lying vacant in them. Many students, who are not really interested in studying engineering, still join those courses only because they think that they may somehow get employment, whereas there are also those who join only due to parental pressure. But those students struggle in their engineering studies. This is borne out by the fact that the pass percentage of the colleges affiliated to Anna university has come down as seen at the beginning of the year. There is thinking among the students now that if engineering studies are becoming too difficult to pass for them, then why join in those at all? This has led to many students turning their attention towards science and arts colleges. This has also contributed significantly to the vacant seats under government quota in engineering courses. In this scenario, students from 239 engineering colleges in which student-admission is less than 30 %, are virtually left in a no-man’s land. ‘Will there be enough teachers there for them to continue their studies there itself? Will they get education of some good standard there? If these colleges are closed down midway, what will happen to the students studying there? What action Anna university is going to take in this regard?’ – are some of the questions and concerns that have arisen among the student community. Did pressure from private schools lead to rollback of plus 1 public exam reform? Forums › Why there are Vacant Seats in TN Engineering Colleges? This topic contains 0 replies, has 1 voice, and was last updated by Pon Dhanasekaran 7 months, 3 weeks ago. Why there are Vacant Seats in TN Engineering Colleges?